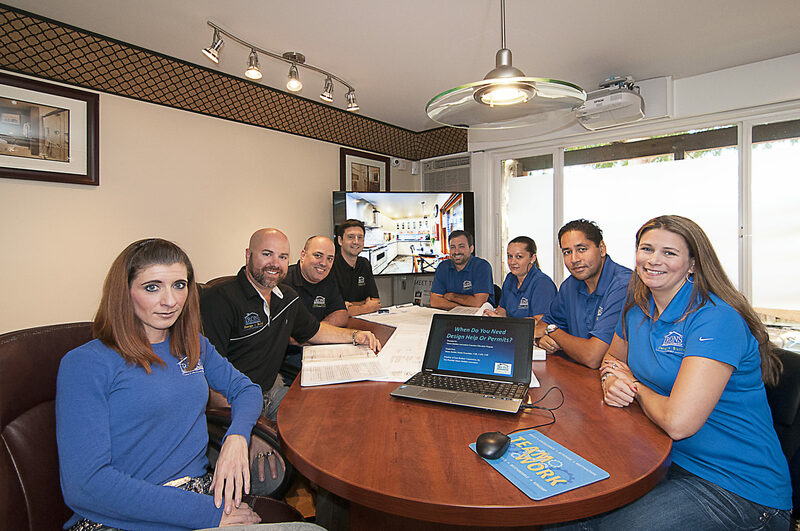 His hands-on experience and commitment to the homebuilding industry began at a young age and has helped him structure his business into a national award-winning company. He is committed to continuing education and has achieved the highest designation of remodeling, Graduate Master Remodeler (GMR) from the National Association of Home Builders University of Housing, Joseph has also achieved the designations of Graduate Master Builder (GMB) , Certified Graduate Remodeler (CGR), Certified Aging-in Place Specialist (CAPS), and Certified Green Professional (CGP). Joseph served as the 2016 Executive Board President of Master Builders Association of King/Snohomish County (MBA). He is Past Chair of the BIAW’s & MBA’s Remodeler’s Council. At the national level Joseph is active on NAHBR’s Remodelers Board of Trustees and is an active NAHB executive board member, serving as the WA State Representative. Joseph is a published author and accredited educator in Washington State. He plays an active role in the community volunteering his personal and company’s time to many local charities and organizations, including the annual Rampathon and Painting a Better Tomorrow events. When not working, Joseph enjoys recreational activities, traveling, and spending time with his two beautiful daughters Venetia & Samaria and lovely wife, Melissa Irons. You can also find him riding his Harley and unicycle around town. Joseph thinks the best part of every work day is making his clients remodeling dreams come true. In 2008 Melissa retired as a surgery room nurse and joined her husband Joseph’s company as co-owner beside him. Melissa uses her background in nursing, management and customer service to keep the showroom, office, field, and personnel systems running smoothly. Most notably she was recently named the National Association of Home Builders (NAHB) Remodeler of the Month for November 2018. The full article can be found online and its a great read! Congratulations Melissa on this well-deserved honor! Melissa enjoys educating homeowners and philanthropy as part of her company responsibilities. Melissa was awarded 2016 Remodeler Member of the Year, by her MBA colleagues for her passionate volunteer work in the remodeling industry. She currently volunteers for the MBA’s Remodelers & Professional Women in Building Council. Raised in Seattle, Melissa loves spending time with her two beautiful daughters Venetia & Samaria and friends, being outdoors, doing crafts with her girls, and shopping! Her favorite part of remodeling, is the satisfaction of a client who returns home to their new and improved life. Our Production Manager, Cody Ross grew up in the Construction industry. He learned the trade from his Father, who is still a custom home-builder in the Puget Sound area. Cody spent many weekends and summers working alongside his father and brother. Cody was born and raised locally in Lake Forest Park and Shoreline. 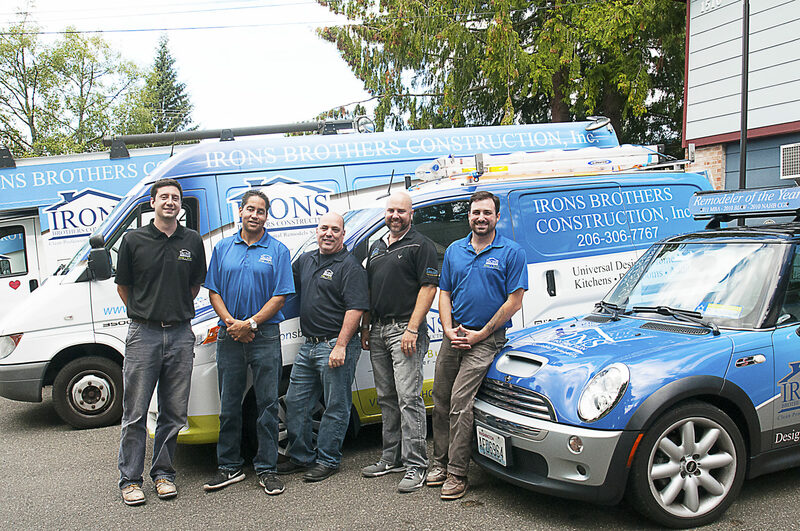 His service in the U.S. Marine Corps aligns well with the structure and systems in place at Irons Brothers Construction. Cody has developed a well-rounded and experienced skill set from his varied work in the construction industry and as a Marine. Cody is known for his leadership, sense of humor, and strong work ethic. When not doing woodworking projects in his garage, Cody likes to go camping, motorcycle riding, and to the dog park with his wife Sarah and daughter Mya. His favorite part of being on the Irons Brothers Construction team is the great clients and outstanding team he gets to work with! Matt Behring, Lead Carpenter, originally from Wichita, Kansas, now working and living in Shoreline. Matt’s background in chemical engineering and customer service help our projects to run smooth and efficiently. His skills as an engineer translate into an organized and systemized project experience for our clients. Matt has been working in residential construction for several years, along with his formal education in cabinet-making and finish carpentry, his hands-on skills and craftsmanship give each project a special touch. Outside of work Matt enjoys skiing, camping, and board games with his wife Arielle. His favorite part of being on the Irons Brothers Construction team is the professionalism and support he receives. Joshua Tubbs, Lead Carpenter, grew up in Tacoma, WA. He joined our team in 2017 after meeting our GM, Joseph thru mutual friends. He brings experience as an outside sales person with RTUI and is a former department manager from Home Depot’s garden division. Joshua has an infectious smile and eagerness to learn. He has been working hands-on in the industry for about a decade. He is currently perfecting his craft by taking carpentry education courses in the evening. Joshua has a young daughter, Treza whom he loves spending time with. He also is an avid fitness enthusiast. His favorite part of working with the IBC team is the team approach and processes used to get the job done right the first time. Joshua is a foodie and enjoys rock classics, hip-hop music, and sport. Dejah Léger, Carpenter Apprentice, is new to our team this year! We are so glad to have a woman on our production team again. Dejah comes from a background of 11 years in the music industry working with visual and graphic design. She also has a passion and love for woodworking, which is tied to her background in art. With her linguistic anthropology degree, in addition to her art and design background, Dejah’s unique perspective on people and cultures will assist in her development of carpentry skills to bring out the best in her projects and the client’s experience. Dejah lives in Shoreline with her two daughters and her husband of 15 years. Her favorite part of working with the IBC team is learning from her professional and skilled coworkers, who already treat her as part of the family, and meeting great clients. Dejah is a long-time musician, and plays French-Canadian music. She enjoys hockey, hiking, cross-country skiing, kayaking, and spending time with her family and friends. Trevor Dodds, Sr. Project Developer, has the knowledge and experience to help our clients have a smooth design and construction process. Trevor works with our clients, design partners, and trade partners directly regarding the day to day operations of design, material selections & specifications. He has been in the luxury home products industry for over 12 years and has experience working directly with clients specifying plumbing, lighting, and appliance materials for residential remodeling, all while managing and supervising a showroom and sales team. Trevor was born and raised in Redmond, he currently lives in Mill Creek with his wife Kristi and two daughters Jaiden and Mia. They all enjoy settling in to watch movies in the wetter months and hiking our beautiful local trails once the weather gets a little nicer. Trevor’s favorite part about the design and build process is watching a project go from the “before” to the “after”! Tiffany comes to us with over twenty years of industry and product knowledge. She is from a family of plumbing professionals, including her Great-Grandfather. 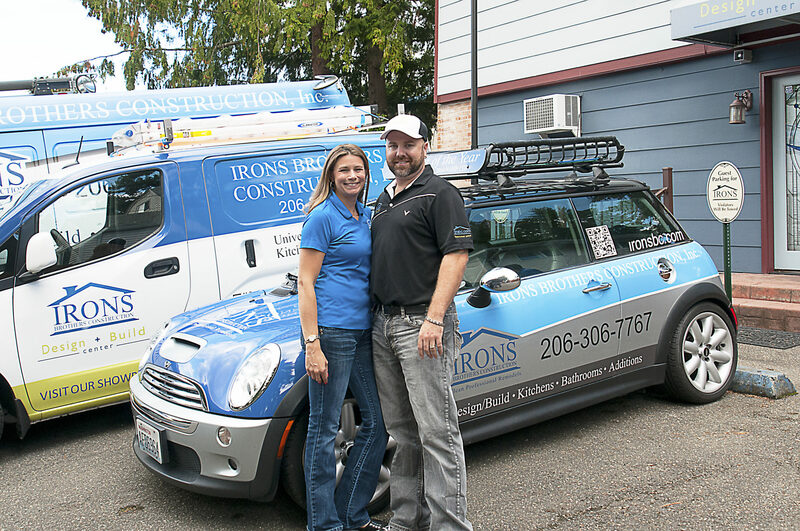 She joined Irons Brothers Construction’s team after working in luxury plumbing showroom sales and customer service, here locally and in Colorado. Tiffany is from Greeley Colorado and moved to Edmonds Washington in 2014. She enjoys spending time with her husband Peter and step-daughter Noa. They have fun exploring the Pacific Northwest and traveling to visit family and friends all over the country and internationally. Tiffany’s favorite part of the customer experience is assisting them to build their visions into reality! administrative assistant, and now is the coordinator of our trade partners and our customer service activities in the showroom/ office. Scarlet is generally the first-person clients encounter when contacting us and she plays a large part in our day-to-day & long-term operations. Scarlet’s background includes healthcare, case management and supervision, she also has education in both Criminal Justice and the Arts and Sciences. A Seattle native, Scarlet is mother of 2 girls, Cheyenne & Bailey, and two boys, Cody & Aiden. She enjoys the outdoors, arts and supporting her children in their activities. She thrives on coordinating a team approach to overcoming challenges.